Writing is a valuable skill. Though formal letter writing on paper has died out, correspondence via email and other mediums is just as strong as ever. Helping kids learn to write well, or at least convey a thought or idea effectively, is necessary no matter what your profession. For kids, learning to write well can be incredibly useful in their academic career. Especially since they will surely have to write papers and complete their homework effectively. However, writing can also lead to a hobby as well as increase their reading skills. As we all know reading and writing are intrinsically linked. Being able to read well and understand concepts can help kids become better and more effective writers, and vice versa. With young kids, it helps to start small and simple, just like you would with reading. Here are some practical tips parents and guardians can try to get their kids into writing and make them better writers. Just like how introducing babies to cardboard or fabric books can get kids acquainted with books as objects, picking out big, fun writing instruments can have the same effect. 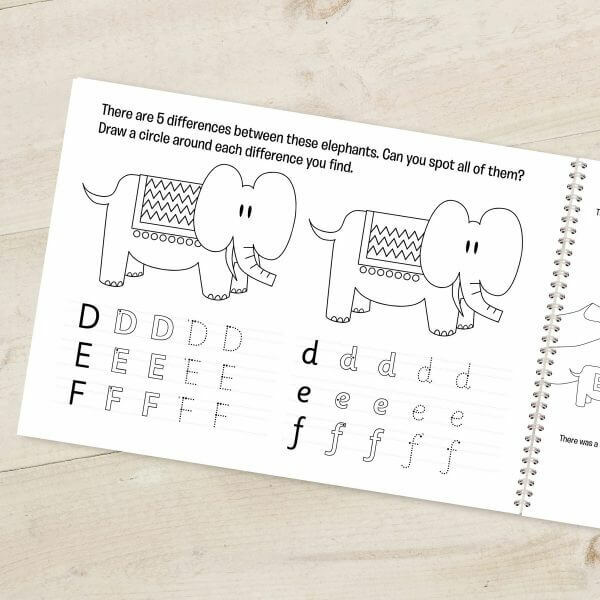 You’ll first want to get kids acquainted with writing out or tracing letters. Safe options for younger children can include big pieces of chalk to draw with on the sidewalk or board. You can even get a little messy with paintbrushes or finger paints. Making this fun can be a great introduction to writing. Once your child has gotten the grasp of writing, they can move onto other writing tools. Golf pencils (smaller and easier to grip for small hands) or crayons are a great beginning. These tools are generally easier for kids to work with while they get used to the act of writing. As kids learn how to write out full sentences, they may need practice keeping their letters uniform and their spaces between words consistent. There are special kinds of paper that have traceable letters and other helpful tools such as personalized activity books for kids to get used to. To help with spaces between letters, they can use stamps, their fingers, or even colored crayons they aren’t using to act as placeholders while they write. As kids get older, their homework may include instructions for providing long-form answers whether they be a single sentence to a paragraph. When kids are at this age or writing level, it helps to boost their communication skills. Encourage them to keep a journal or to write their own stories. This can help them develop effective communication skills via writing, and they can get used to expressing their thoughts, feelings, and ideas through written words.